The medieval town of Montebenichi stands at the top of a hill which separates Chianti from Valdarno through the valley of Amber. Born from the fortification of an existing centre, it is structured in three concentric circles, enclosing the original fortress and representing the three stages of the architectural and historic development of the village. In the second circle, the Castello del Goro stands tall, whose date of construction can be roughly set around the period 1540–1550. It is particularly impressive in comparison with the other buildings in the village. It was built as a fortified residence on the orders of Captain Goro, a glorious leader of good fortune at the service of the Medici family. In this way, Captain Goro wanted to transmit the power and prestige reached by his dynasty. Castello del Goro was chosen in early 2000 by President Paolo Ducci as an institutional office of the Foundation. Once the elaborate restoration project is completed, Castello del Goro will be able to house offices and large exhibition spaces on the mezzanine floor. Situated at the first floor (the “noble” floor) is the Audience Hall which, in addition to the Board Rooms, is the largest of the castle (approx. 90 sqm) which will be devoted to concerts and conferences. 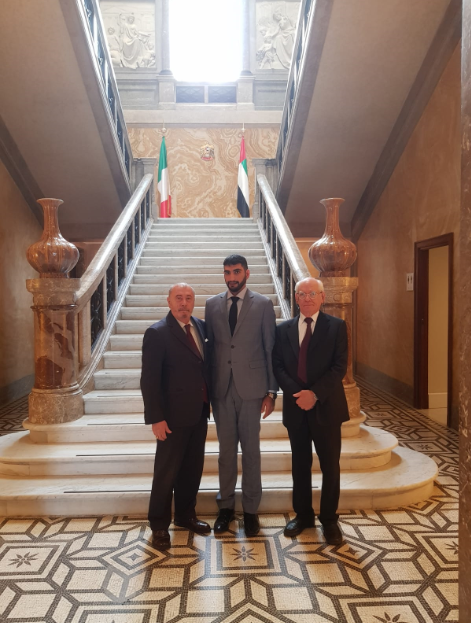 The library of the Foundation will also be located on the first floor, boasting several thousand volumes, mostly historical, philosophical, and legal, along with a wide selection of Italian and foreign literature. The ground floor, currently used as an exposition space, in August 2000 hosted the relevant exhibiton of Martin Petz’s, “Men”, in the context of the events of presentation of “Meetings with European Culture in Tuscany”. Although there are no present elements allowig us to determine the exact origin of Montebenichi, we can presume on the basis of archaeological findings (gravestones near the church) and some deductive elements the existence of a first Etruscan settlement. The shape of the church’s nave (probably dating to 550 AD), confirms the existence of a barbaric settlement from which could have originated the name itself of Montebenichi (Benicola from Lombard “Benuald”). Therefore, the first Etruscan settlement in Montebenichi of which we can be certain dates back to the Lombard period. The importance of Montebenichi as a castle already in the Middle Ages and especially at the beginning of the modern era is demonstrated by the presence of a large “M” on the vast map drawn on the wall inside the office of Philip II. Montebenichi was likely part of a network of fortified sites, which gave protection and shelter to the local population during the secular war between the republics of Siena and Florence. In the first half of the XVI century the Stendardi family was emerging in Montebenichi, especially thanks to Goro, the captain of good fortune, at the service of the Florentine Republic. Towards the middle of that century, Captain Goro ordered to build an imposing fortified residence for his family just outside the walls of Montebenichi, generally known henceforth as the Castle of Goro. With the unification of Italy (1861) and the end of the privileges associated with the ancient Order of Knights (the Stendardi family was granted the title of Order of Santo Stefano by Philip II de Medici in 1851), the strength and prestige of the descendants of Captain Goro started to decline. For this reason, the Stendardi family left Montebenichi and sold the Castle to the Baiocchi family, who made great improvements and changes, embellishing most of all, in a distinctly Gothic style, the medieval character of the building. In the last century, the Castle in its current state was again sold and after having belonged to the Antonelli family, became part of the assets of the family homestead of Montebenichi and property of the Marchesi Ducci family, related to the Stendardi Counts. The castle was built in a decisively impressive style, but it was refined with arches on the northern side and a tower on the eastern side; originally it included a lodge on the extensive ground floor with a vaulted passageway for carriages and horses, completed then on a mezzanine level where it would be possible to access from the eastern side. This constitutes the main facade, which has an elevated view of the entire valley, having in front the small terraced park that, divided from the castle by an access road to the village, is surrounded by an old wall unto which opens a large iron gate. The entrance to the first floor (the “noble” floor) was located on the outer side of the current Via del Castello, meanwhile in 1800 a large entrance was probably already opened on the side of the Via of Captain Goro. The first floor appears to be the one that still keeps its ancient medieval architectural features and includes many large rooms, such as the particularly significant large “Audience Chamber” in which Captain Goro and his descendants used to receive the official delegates, the notables of the surrounding estates, and to deal with issues pertaining to administration and justice. Also on the first floor, in the entrance where two coats of arms made of marble of the Stendardi family are on the wall, is situated the Fireplace Hall (Sala del Camino), with an immense and elegant stone fireplace surmounted by a crest and with a large balcony with a banister made of terracotta. The great changes made by the Baiocchi family in the early ‘900’s, gave the building architectural features typical of the Gothic style. These features can be observed chiefly in the two elegant windows with small columns and a central rose on the northern side of the facade, in the fortifications surrounding the roof terrace, as well as in the Gothic windows on the top of the tower and the decorations in stone on the terrace, from which on a clear day it is possible to catch sight of the unmistakable skyline of the city of Siena. The episode in which the figure of Gregory Stendardi mainly emerges was at the battle of Gavinana, when, during the last attack, he tried in vain to protect the leader Francesco Ferrucci with his own body. Since the institution of the Foundation, its offices and Presidency have been located in the sixteenth-century Palazzo Cisterna in Via Giulia, one of the most elegant streets of the historical center of Rome, architecturally speaking. The current President, Paolo Ducci, inherited the property in 1998. 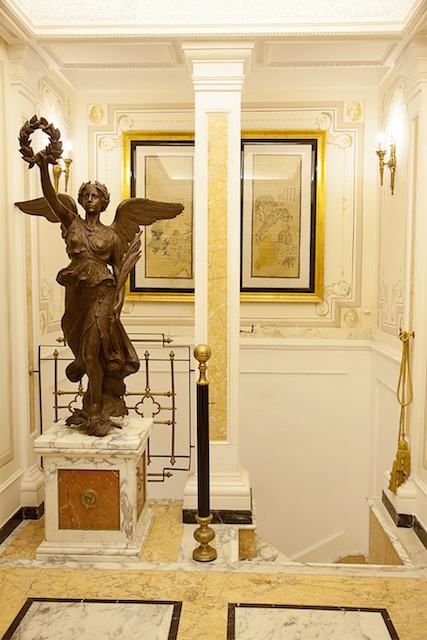 He reserved the entire ground floor apartment for the office of the Foundation that before held the studio of a design architect and sculptor, who was the first owner of the building and was known as the distinguished Guglielmo della Porta. The historical settings, that represent the operational center and the registered office of the Foundation, also host the meetings of the Board of Directors, the Executive Committee, and the Honor Committee. The large basement rooms of Palazzo Cisterna deserve special mention with their considerable architectural value. After a long and complex restoration process, the rooms are currently in their finalization phase and should soon allow for the opening of the “The Last Cultural Supper of the Foundation,” entitled to Guglielmo della Porta. Under the pontificate of Pope Julius II of Rovere, (1503) a plan was promoted to modernize the old organizational structures of the Papal State, as well as the urban design of Rome. In this context, “Via Julia” assumed the role of a new key road, destined to represent the business side of Rome because of its proximity to the area of banks, a place ordained for financial activities. Palazzo Cisterna, which was built in the sixteenth century, commissioned by Guglielmo dalla Porta, rises right along this historic Roman road. The well-known sculptor lived in Rome during the fundamental years of his artistic production. His main work is in fact the monument to Paul III of Farnese (Rome, Saint Peter), started in 1549 and completed only 26 years later. The Palazzo was sold at the beginning of the twentieth century to the Cisterna family, of whom Eugene the painter was a member. Eugene was considered the last great academic painter of the Roman milieu and died in 1930. In the second half of the last century the Palazzo was acquired in part by the Ducci family. On the free walls of the courtyard are walled in ancient Roman fragments, some of which are of fine workmanship. The interior of the Palazzo presents some important rooms that contain painted coffered ceilings and walls frescoed with the grotesque. In the basement, formerly used as stables, where there is also a Roman cistern, one can detect the presence of foundations of preexisting buildings, some dating back to Roman times. The office in Fez was established in 2004 with the specific intent to emphasize the role of the Foundation as a promoter of intercultural dialogue. The choice of Morocco and in particular the imperial city of Fez which safeguards one of the most ancient and sophisticated cultures of the Islamic World and has attracted increasing interest in the region in the last few years was not an accidental choice for the office of the Foundation. In a time in which the Arab world and Islam are at the centre of attention, often suspicious and sometimes alarmed of our public opinion, that at the same time proves to be not particularly informed and documented, comes the risk of becoming a hostage of prejudice and stereotypes that don’t assist the dialogue or the comprehension of mutual cultural enrichment. In the context of encounters between the populations of the Mediterranean area Morocco represents an interlocutor of great importance for the European continent. This area saw the birth and development of some of the most elevated cultures of the past and this becomes more than a just a symbol of encounter, but an interchange and integration between different peoples. The city of Fez, declared by UNESCO as a World Heritage Site and always considered the cultural capital of the country, with one of the biggest and most beautiful historical centers (medina) in the world, which is mostly still intact, avoids the large influx of tourists and this allows the traveller to fully capture the richness and charm of the authentic art and culture of the city. In this context, according to its statutory purposes, the Ducci Foundation is inclined to provide, with the institution of the International Centre for the Intercultural Dialogue (C.I.D.I.) at the Kassr Annoujoum, a concrete contribution to the promotion of dialogue between Europe and the countries of the southern Mediterranean. Among the main activities of the office in Morocco is the organization for the visit of scholars and European artists by means of grants, that allow guests in the riad to make contacts and have an exchange of opinions with their Moroccan counterparts and, if it’s possible, with the entire Maghreb. The Foundation considers this initiative a particularly significant occasion as a contribution to the development of a secular dialogue between cultures, which promotes meetings, knowledge and collaboration. The city of Fez is situated within Morocco, halfway between Rabat and Oujda, and is considered, among the imperial cities, the city symbol of the country. Starting from ‘808, Idris II built mosques, palaces and monuments in the city and those same buildings today give Fez its monumental appearance. All the great dynasties have left their mark, but despite this wealth of cosmopolitan character, Fez has succeeded in maintaining a strong Arab identity. The historical center (medina) of Fez el-Bali (Old Fez) is one of the largest medieval cities in the Arab world, equal to Marrakech, Cairo and Damascus. Like all historical centers, also Fez el-Bali is divided by zones, which represent the various craft guilds, and it is crossed by a dense network of narrow streets, so narrow and steep as to not allow the passage of vehicles which are not animals. The Assalam Jisr riad is located on a small street in one of the most exclusive residential areas of the historical center (medina) called Douh, equally distant between the Tahal seghira, one of the two greater streets that runs through the entire historical city, and the door leading to the square of Bath. 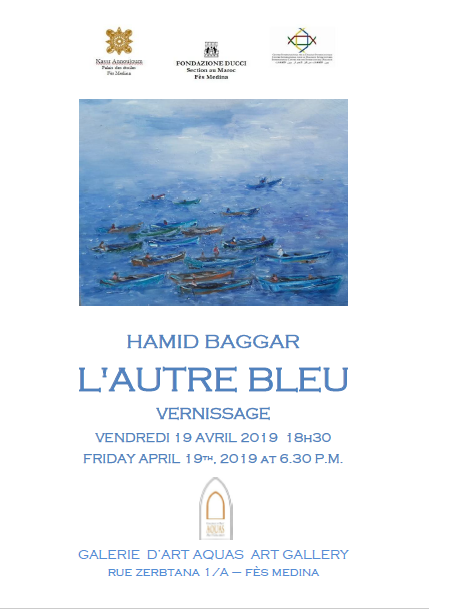 It was built over 120 years ago by one of the important noble Fassì families, to whom it belonged until the middle of the last century when it was acquired by a wealthy family of merchants, the Bousidi, from whom the Foundation acquired the property in 2004. The Kassr Annoujoum Palace is characterized by a rectangular plan. It consists of three main structures, whose three respective facades overlook the big internal courtyard, closed on its fourth side by a high wall decorated on the lower part with wonderful majolica mosaics (zellig) and columns, while a wonderful Carrara marble fountain stands in the centre of the court. Each of the three main structures display, at the ground floor, a loggia (gallery) defined by the sides of the courtyard with four wide columns, completely decorated with multicolored ceramics. In each one of the loggia, there are three great cedar doors that give access to the salon for guests, exposing two arched windows, protected by the traditional wrought iron grills. An exceptionally large staircase, uncommon for the architectural style of the time, leads to the upper floors. Several rooms of different sizes open up to the staircase, which crosses two halls, one on the first and the other on the second floor, both adorned by a wall-fountain. 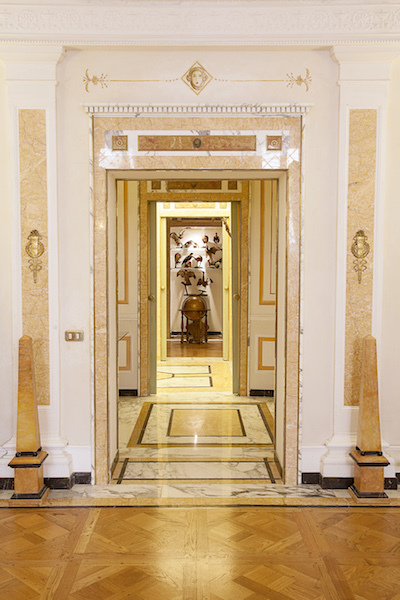 The second walkway connects through an atrium, from which several corridors branch off leading to the bedrooms and to a great embellished gallery, enriched with panelling made of black marble, multicolour ceramics and with three big arches. Through a passage from the gallery, others rooms unfold on two different floors. All the galleries in the palace as well as some other rooms are adorned with beamed ceilings made of cedar and walls decorated with stucco. The large terrace’s give a wonderful 360° view over the medina, as well as a great view of the landscape around the city. Moreover, one can see the ancient merindi graves and a part of the old city walls that contain the entire old city. Major consolidation projects were made before starting the conservative restoration work that is based on historical-philological research about the architecture of the property, which, without modifying its original structure, renders it perfectly suitable for the activities of the Foundation.